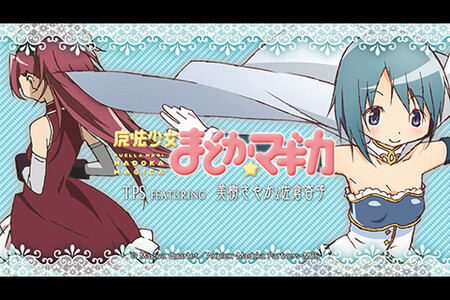 The ANIMATE store chain's production company Frontier Works released the third Madoka Magica "third-person shooter," Puella Magi Madoka Magica TPS Featuring Sayaka Miki & Sakura Kyōko, on Yahoo! Japan's market for Android apps on Tuesday. 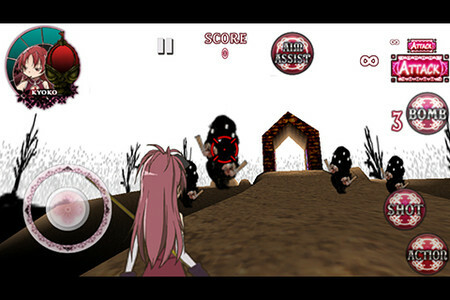 As in the previous Madoka Magica TPS games, the player assumes the role of magical girls to clear stages. This time, Sayaka and Kyōko are the stars with voice actresses Eri Kitamura and Ai Nonaka reprising their respective roles with some exclusive voice samples. 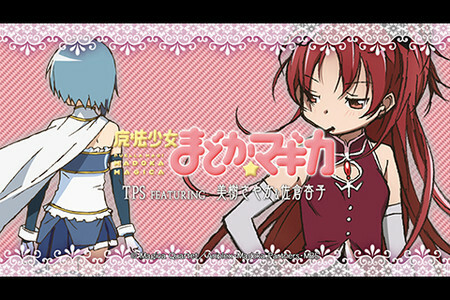 The game begins with Sayaka before she becomes a magical girl, so she is armed only with her baseball bat to bash enemies. Stage 2 has Sayaka after her magical girl transformation, with a saber. After that, the game switches player characters to Kyōko, who begins with a three-section staff (sansetsukon) before upgrading. Players can pick up items to restore their health and purify their Soul Gem, which they can tap to perform magic. 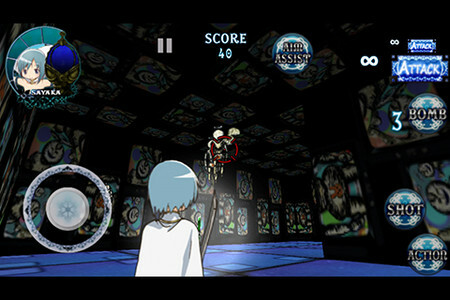 The game has three difficulty levels, and as the player defeats each stage boss, images from notable anime scenes will be unlocked in the game's gallery page. The game costs 630 yen (about US$8).